Description: Line charts are commonly used in business and educational projects for a better visual presentation. 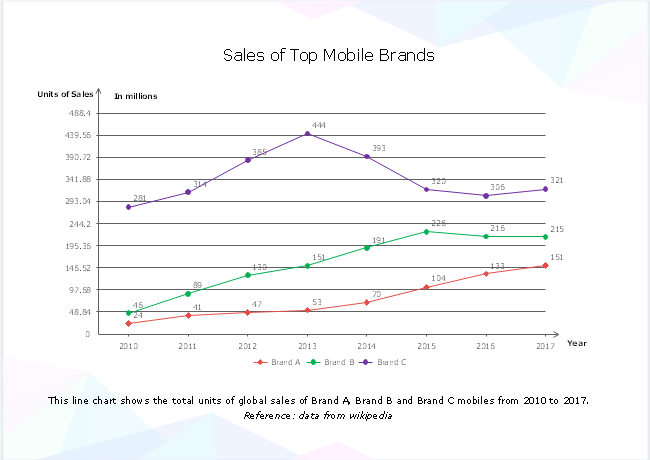 The mobile brands sales line chart template here, for example, shows your some mobile brands sales in the world smartphone market. Feel free to download the Edraw chart maker to create your own line charts now.